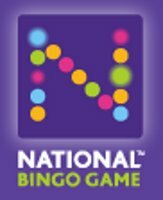 A new National Bingo game called ‘National Cash’ is going to hit high street bingo halls up and down the country in April, and according to the National Bingo site Mecca Bingo has already confirmed that they would like their bingo halls to participate in the new low stake linked game. It is hoped that with the help of the very latest technology, vast amounts of bingo halls will be able to link the National Cash bingo games successfully to play for big cash prizes. There is only very limited information at the moment regarding the new bingo game, but with promises of lots more details to follow on the National Bingo Game website. The information that is available however paints a pretty good picture for bingo players who visit high street bingo halls. New technology will be installed in all the participating bingo halls including the Mecca Bingo clubs who agree to participate, in the early stages it is hoped that up to 250 will agree to join in. After the new National Bingo Game has launched it is hoped that as many as 300 or maybe even more will be part of the National Cash bingo game. The game is being developed in partnership with the National Bingo Game subsidiary Meeron. The joint partnership exercise between the National Bingo Game, Meeron as well as NRM – IT and communications – is going full steam ahead. It is hoped that NBGA and Meeron will initially fund all development and installation costs for the project. The twice daily bingo games will, according to the NBG website, take place at 1.15 – 1.45 pm and 7.15 – 7.45 pm and it is anticipated that a minimum jackpot of £5,000 will be available to be won.